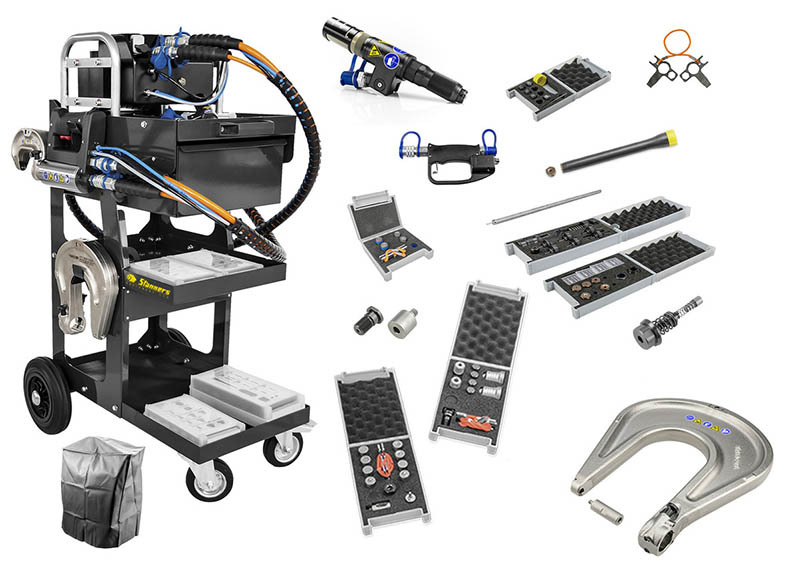 The TKR XT2 universal riveter has now gained Tesla approval. The TKR XT2 already has approval for Mercedes-Benz, Jaguar Land Rover, Volkswagen Group UK and BMW and the latest approval from Tesla is further endorsement of its excellent performance. The TKR XT2 is a universal riveter able to perform self pierce/punch rivet, solid and flow form rivets covering all OEM size of rivets with many mandrills/dyes available for joining mixed materials, retracting mandrills and punching holes with a hydraulic force of up to 10 tonne to meet individual manufacturer specifications. With the blind riveting gun attachment also approved by Tesla all blind rivets, rivet nuts and rivet studs can be pulled and the 360 degree rotational head allows access in even the most awkward areas to reach. The TKR XT2 is distributed by Stanners Equipment.